Tips For Hiring A Reliable Commercial General Contractor - JRC Exterior Solutions provides general contracting for Roofing, Windows and more! Contact previous clients: Make inquiries from previous clients. Ask if they were happy with the company, and would be glad to recommend them. Carefully check their Credentials: Contact at least 3 different firms, and request for a copy of their licenses to see if they are duly registered. You will also be able to know if they have been involved in any lawsuits or had disciplinary action taken against them by their licensing body. Pricing: Once you have narrowed down the list of General Contractors, then it is time to ask for an estimate for your project plans. Ensure that all General Contractors you shortlisted are given the same specifications, requirements and time frames. If you see a quote that is extremely low or high, then you need to ask why. An extremely low quote is a sign of general contractors who are either desperate or very inexperienced. Avoid general contractors that only offer you a quote over the phone. 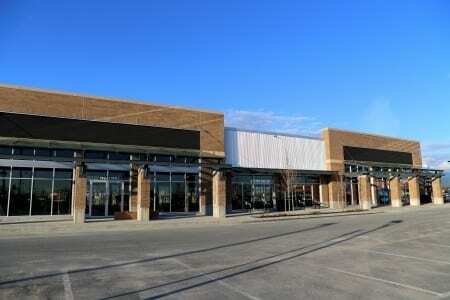 A reputable commercial general contractor in Denver Colorado will visit you and estimate the cost physically. Apart from pricing, checking of credentials and contacting previous clients, their expertise, reliability and quality service are also very essential. You will get a signal about their expertise in the course of the estimate process. While choosing a commercial general contractor in Denver Colorado can be a daunting task, you will never regret working with JRC exterior solutions. What kind of commercial project are you looking to execute? Our expert team offers professional and customized construction services in Denver Colorado and its surrounding areas. Our commitment to honesty, integrity, and quality service are some of those things that set us apart from the competition. You can book an appointment with our commercial general contractors in your locality to further discuss your project needs.